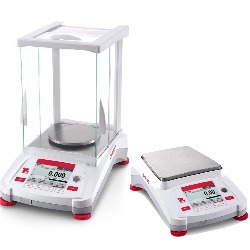 OHAUS Adventurer laboratory balances incorporate all of the applications necessary for routine weighing and measurement activities. With a color touchscreen, GLP/GMP compliance capabilities, two USB ports, and much more. Many experts feel the Adventurer is the most complete balance in its class.